Gabrielle Bethke is a M.S. student in the Energy-Water-Environment Sustainability program in the Department of Civil and Environmental Engineering. Her research explores residential water use and creating models to disaggregate smart meter data into household end uses. Gabrielle completed her B.S. in Civil Engineering at the University of Illinois at Urbana-Champaign in 2018. 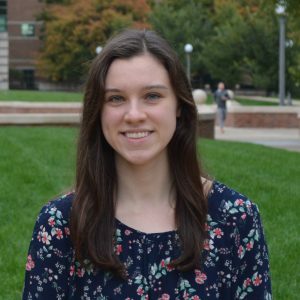 As an undergraduate research assistant, she studied the performance of green infrastructure under different rainfall conditions. Specifically, she created linear regression models of runoff from a rain garden using different parameters from SWMM. She was also a member of the Fighting Illini Swimming and Diving Team.